We have developed relationships with many community organizations and school groups interested in providing a workshop site and participant base in support of the Program, but we are always looking to expand our network. 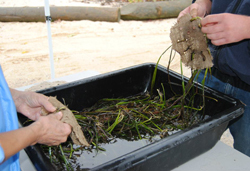 If you are interested in hosting a workshop, please contact Kim Barbour (631-461-5294 or marinemeadowsprogram@gmail.com). We ask that you be able to gather at least 10 participants for a two to three hour workshop. 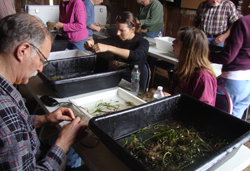 You can offer a Marine Meadows workshop to your membership as a one time opportunity, or make these workshops an ongoing aspect of your program offerings. Either way, you are doing your part to help restore essential fish and shellfish habitat in our local waters.